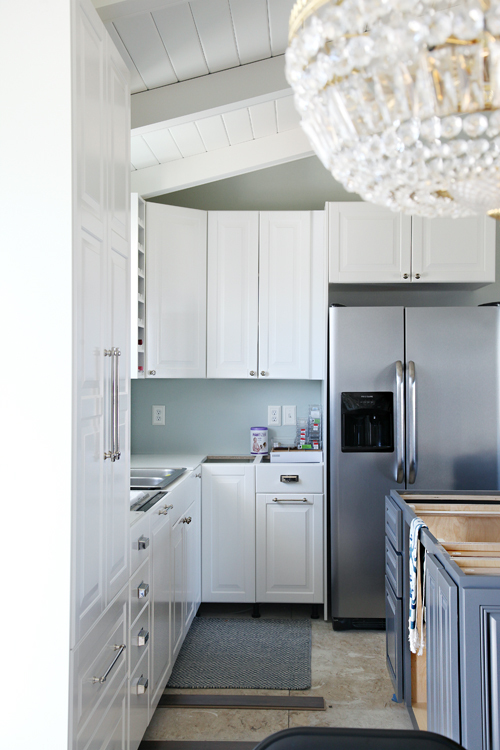 IHeart Organizing: IHeart Kitchen Reno: A Chandelier, An Island and Hardware, Oh My! 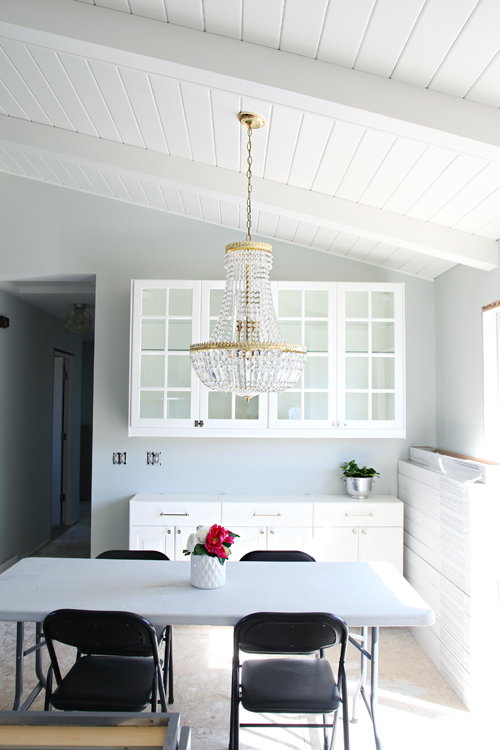 56 IHeart Kitchen Reno: A Chandelier, An Island and Hardware, Oh My! Hello Monday! I hope you all had a warm and relaxing weekend. It was fantastically spring-like in Wisconsin this weekend and we were very grateful for the beautiful weather and the ability to get outdoors. This week our kitchen looks like a completely different space in the best of ways. It really is starting to come together and it is so fun seeing items that we have been dreaming about in our minds, finally come to reality. It is always a bit scary when you build up with excitement about certain elements (ahem, the island), and then see them in person for the first time. In the photo above, you can see the floors from the adjoining living area, and how they will look when installed through the kitchen side. The beautiful gray island breaks up all of the white while those floors will bring in loads of warmth and character. Just what the kitchen has been craving for months now! I have so many things to chat about, so let's start with the insane-amazing chandelier. It is a WOW moment, that is for sure. Whenever I spout out an idea, I try to find some images to sell it. Bryan is very visual and can't always see what I see in my mind. He wasn't sure we could pull off a fancy chandelier (heck, I wasn't entirely convinced myself), so I showed him examples of various homes I loved that rocked a little bling. Then I took a trip to Texas to work with my friend Grace, and noticed she had beautiful lighting throughout her home, as well as old chandeliers over her island. Her home is gorgeously designed, yet you can still feel that a family of six lives there through other elements. I was feeling more inspired than ever. We talked about stepping out of our comfort zone and being risk takers. About trying to find a balance of a more grown up home yet keeping it family friendly. 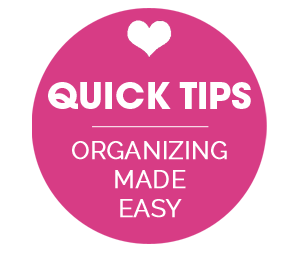 About finding ways to fill our home with items that don't just come from big-box stores and that feel more "us". So, I began searching Craigslist and local thrift stores for chandeliers, keeping in mind a certain style and specific dimensions. Last winter while visiting my in-laws place in Florida, I decided to do a random Craigslist search there as well. Wouldn't you know it, I spotted the winning piece! However, we had no way of getting it home. 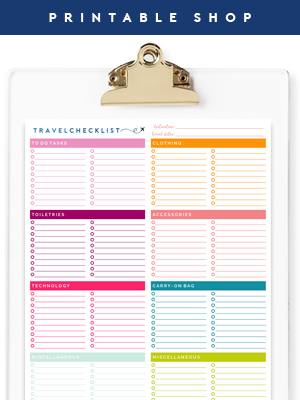 I purchased it only a few hours before our plane was set to depart on a Sunday with no time to package and ship it. So we left it knowing that with all of the visitors traveling back and forth between Wisconsin and Florida, that someone would be able to drive it home to us someday. That someday was just a few weeks ago. We found the piece at a vintage shop and it is beyond lovely. You can tell it has aged and it definitely has become a talking point in our new space. I also deeply appreciate that we have something in our home that traveled from our family favorite destination. It has meaning, and although it feels a little fancy compared to what we typical decorate with, we (yes, Bryan too) couldn't be more thrilled with it. I think it is especially fabulous when paired with an old banquet table, folding chairs and cheesy faux flowers. Moving on. Let's chat about the island! We ordered the island through a building company who then works with a local cabinet maker (we went with the Wellington style door in Slate finish). 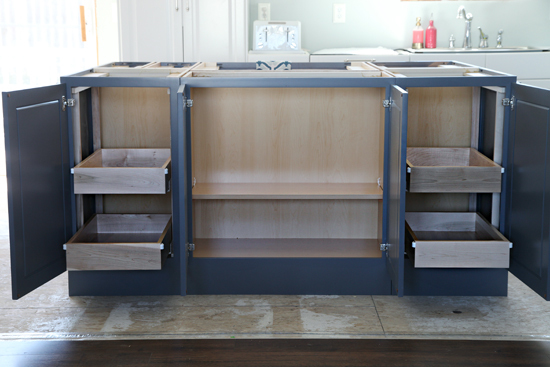 The island was designed and built custom for our kitchen given our dimensions and storage needs. It will eventually house our oven and cooktop, as well as oodles of other kitchen gadgets. It is always one thing to tape things out on the floor and see design plans on paper, and then seeing it in person in your space. It was quite amazing how quickly the kitchen area changed. As you can see above, this island is jam packed with storage. Every last inch is used. In fact, I am quite positive that I won't be able to fill all of the cabinets in our kitchen, we have more storage than we know what to do with. On the back side of the island we have a total of three cabinets; two deeper cabinets with pull out drawers and a narrower center cabinet. We will eventually have three bar stools for three little boys, so these cabinets will be great for storing items that are not used daily. I also love that they appear to be decorative panels when closed. In the kitchen side we have drawers, cabinets and our pull out spice rack. 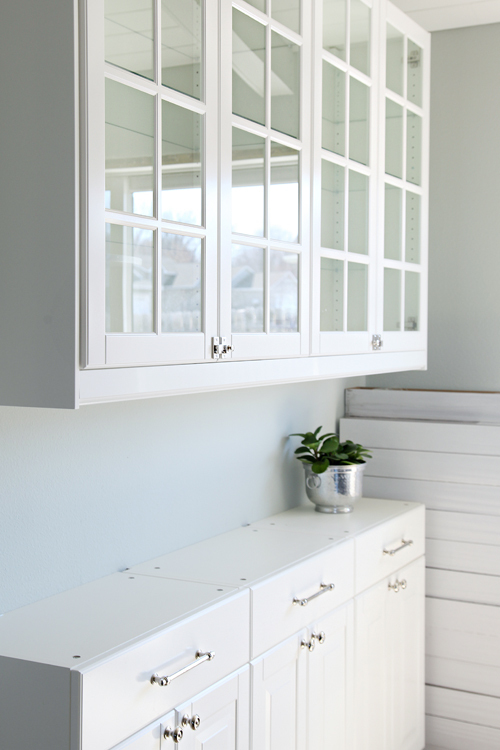 I typically gravitate towards white cabinet interiors, but these really turned out so very beautiful! Big fan here! And of course, we went with the soft-close option again. We debated about the pull out spice rack and decided that we really want to keep the island counter as clutter free as possible, and needed a place to stash oil, condiment and spice bottles. We are excited to fill this little gem of a storage spot. 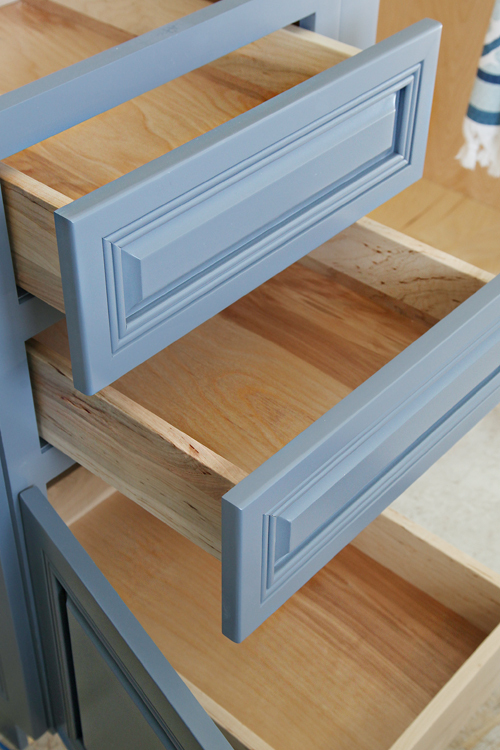 The last cabinet is narrow and will be perfect for baking sheets and cutting boards. As of right now, the island is just floating. We have to have our HVAC experts come and do a lot of work below before we can screw them together and set them permanently. But now that we at least have it set in place, we can also be measured for counters. 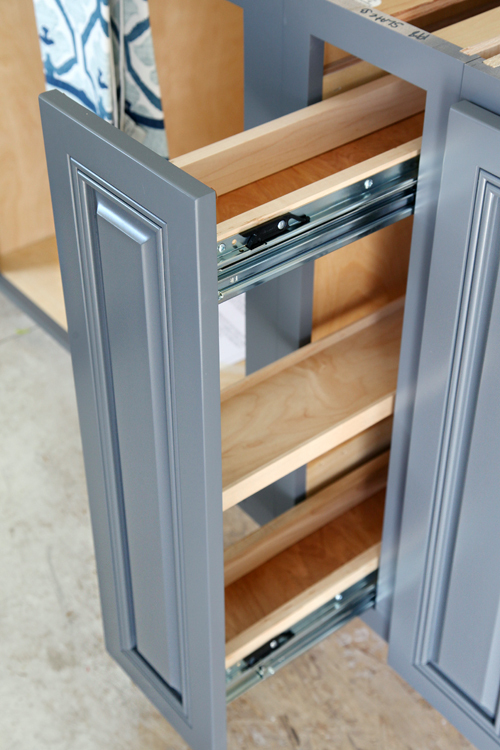 Once they are installed, we can attach the front toe-kick, finish up the flooring and add decorative moulding details. 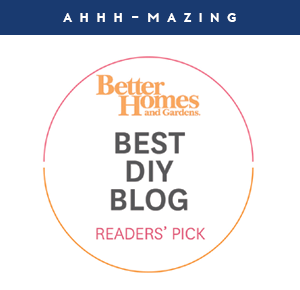 Although it took many weeks to plan out the entire island, order it, have it built and delivered; it was well worth the wait to get something that balanced out all of our IKEA cabinets as well as fit our storage wish-list needs. Speaking of decorative elements, we still have a lot of small touches to add to the remainder of the outer cabinets. Once our counter depth fridge arrives (the one we first ordered was damaged so we are waiting on a replacement), we can add the final side panels above and to the right of the fridge to box it in. And when that is done, we can add some crown moulding to the tops of the cabinets and trim out the window. We will also be installing toe-kick to all of the white cabinets for a seamless cabinet to floor look. Remember I struggled with the initial hardware for our glass faced cabinets? The cabinets were too far apart to accommodate the latching option I initially ordered. I finally found a beautiful replacement that fit perfectly! The "shutter latches" were ordered from Historic Houseparts and again, I am happy that they are a little different than typical cabinet hardware. 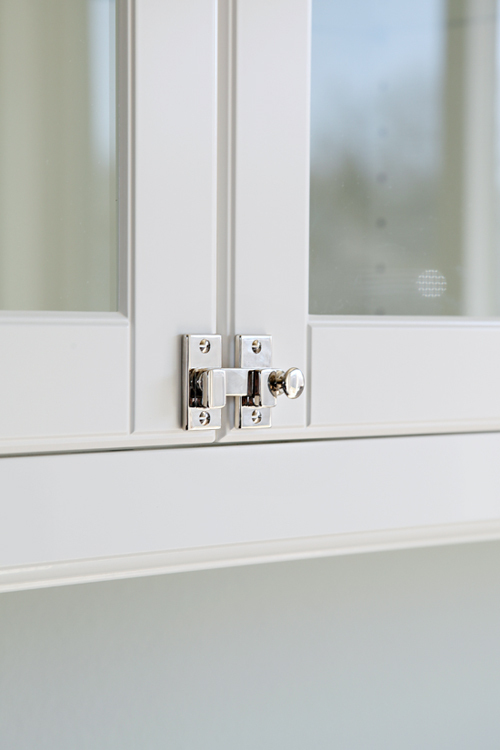 The latches are gorgeous for our display cabinets, but definitely not something we want to use on our everyday dish cabinet with the kids. We ended up using the same knobs as the rest of the kitchen for the other glass faced dish cabinet. It is beginning to feel more and more like a finished kitchen with each added detail. I think I am starting to see the light at the end of the renovation tunnel! I am so loving every last detail of this entire makeover. So beautiful and I LOVE the chandelier. What a gorgeous, well-designed island! I love the color. It looks more like a blue-gray in the photos but maybe that is just my screen. 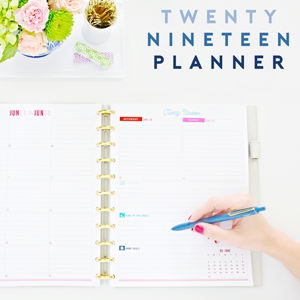 You are in the home stretch and I can't wait to see the final reveal. Hi Barbara! The island was a challenge to photograph being that it is so saturated compared to the white everywhere else in the room and the strong sun we have today. I struggled with it a bit. The color we selected is a slate gray, but I can definitely see a blue hue in it. The photo of the pull out spice rack is probably the closest representation of the true color. Would you be able to attempt to match this color in BM? It's the perfect gray!!! P.S. I saw you featured in Martha Stewart Living- congrats- I'm a daily reader and am so proud for you! Thank you so much Corrita!! 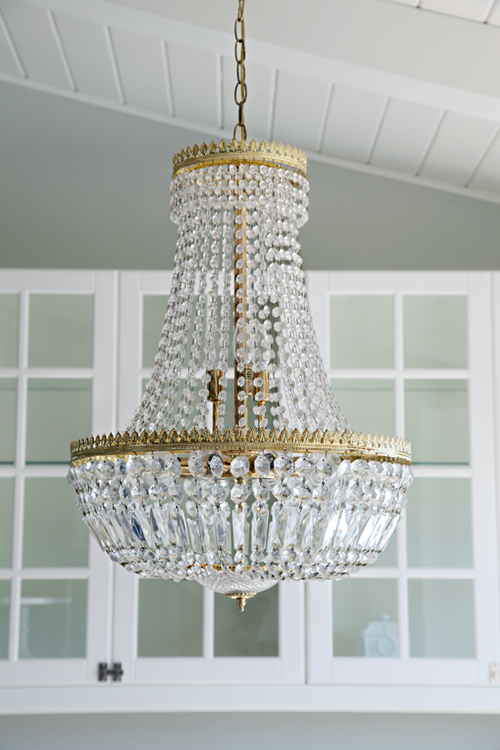 Your chandy is fabulous. I love, love, love your kitchen. Can't wait to see more. It all looks wonderful. How exciting! We are planning a renovation in the distant future, and I think it's so wise you didn't put the sink on the island. I keep seeing sinks in the island and think it looks lovely, but has anyone lived with it? I am guessing inevitably there would be dirty dishes and a dirty sink in the middle of the island and room, which would just make me go "ew" if I was sitting at it or looking at it. I often think about that. The stove is a perfect idea! Keep us posted (of course). Looks beautiful!!!!! We went with dark wood, dark counter top and grey walls in our kitchen, I do love it but seeing yours makes me want to flip that all around and lighten it up. Looking great, Jen! Just had a quick question about your stove going in the island! 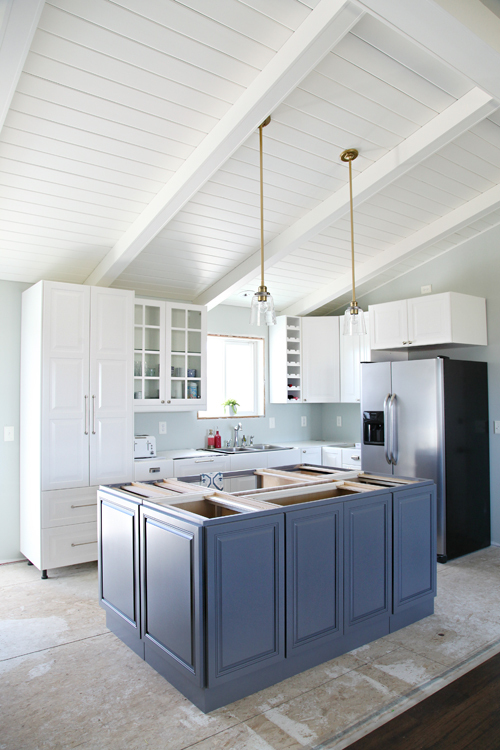 Are you forgoing a rangehood? If not, how will you plan to contain the airborne grease, smoke, and cooking odors? Just curious since it is so open to the rest of your space now! Can't wait to see the outcome. 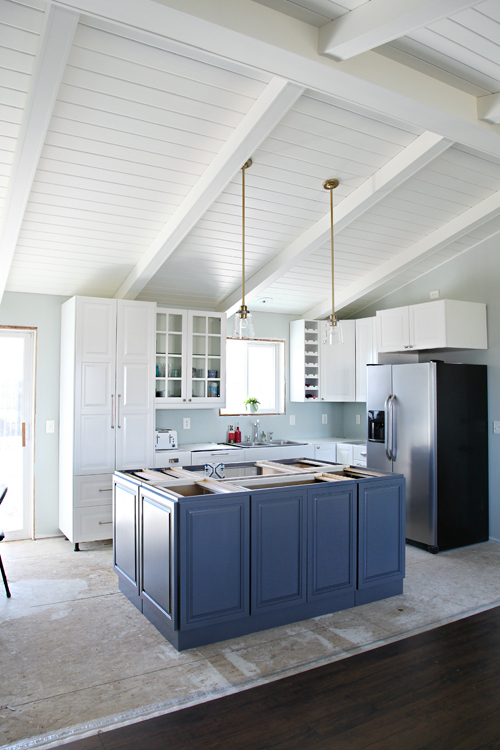 I can't wait to see how the stove in the island works out for your family! I have some half baked plans to open up my kitchen and add a similar island with a stove one day. It looks amazing, I love it! 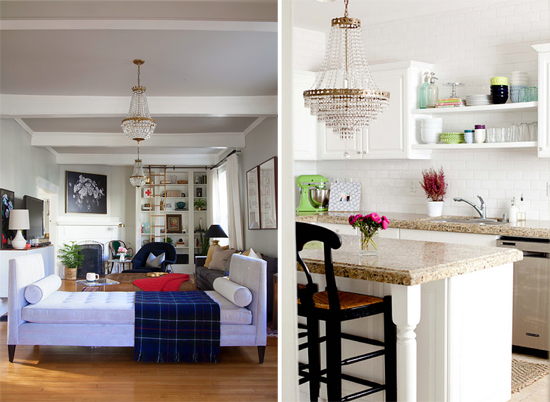 Fantastic choices and I think the chandelier is an amazing statement piece! I love that chandelier! Everything is really coming together! Hi Jane. We are planning to upgrade the door to a paneled option so it looks more decorative (it will mimic our interior doors). I wish I could just remove it all together but unfortunately it just gets used too frequently. xo! What are the island dimensions? I've been reading that the island should be 4ft away from the cabinets but that seems too far. The overall dimensions of the island are 72” wide and 50" deep. The counter will add an additional 10" for a total of 60" deep. We read that 3 feet is standard/minimum, however, once the island is set permanently, it will be close to 3 1/2 feet of space away from the outer cabinets. We are able to pull down the door of the dishwasher and still comfortably move around it, which was important to us and the overall flow. FRIEND!!! I'm dying over how great this all looks!! how is this even the same space??? You have great vision and style, and this is stunning! It's really elegant and timeless. Love the juxtaposition of grey and white. Can't wait to see the countertops on! Oh Jen, I am LOVING watching your kitchen come together. It's looking wonderful. And your new/old chandelier?!?! I don't even have words. It looks amazing! Loving every detail!! Stunning! I am drooling over that chandelier! Love seeing your pictures and feedback as we are in the middle of a large reno ourselves. 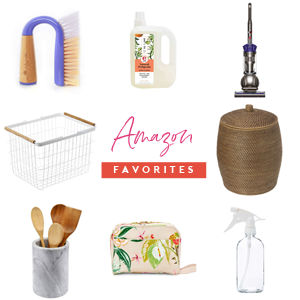 I chose lots of similar stuff to your kitchen. I love you ceilings. Ours are only 8' so I cant get away with that but it looks amazing and I love you light fixtures too! Congrats on a beautiful project getting close to completion! Love watching this space come together!! 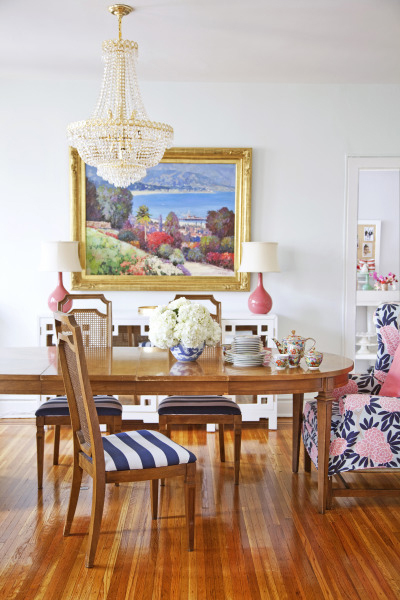 That island is to die for and that chandelier - wow what a find!! So lovely! It's so pretty, and you're not even done! I noticed your wine cabinet rack seems wildly understocked. Better get that thing filled up! That is a totally awesome idea!! Thank you so much for sharing it! I agree, that is a great DIY! We had a pull out toe-kick in our initial island plans for our puppy bowls, but it ended up adding too much expense so we had to nix it. Love the DIY version, thank you for sharing! So pretty! We have the same pull out spice/oil etc...cabinet and its one of my favorite parts of the kitchen! Its easy to clean if anything spill, and i can see everything, grab it easily while cooking. And, we also have a downdraft too - which is also great because its out of the way when not in use. What a beautiful kitchen! I'm loving seeing the progress! Looks fantastic! 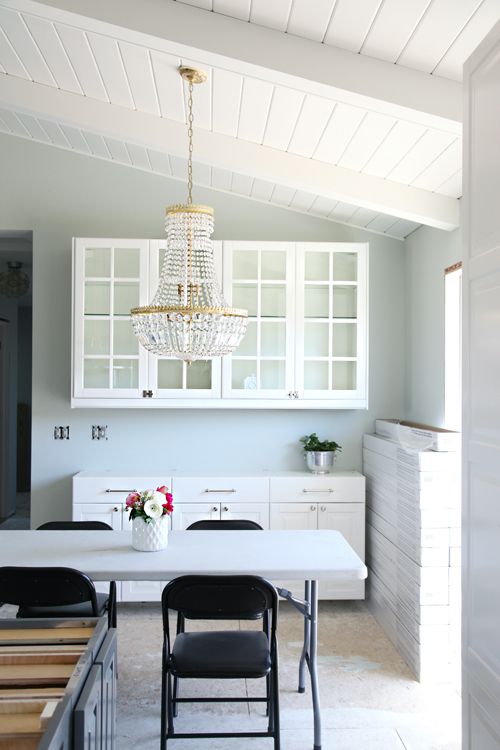 I love that chandelier it suits the space so well and the pendant lights go great with it. The island is fantastic and really sets apart the space, I can not wait until the final reveal it's going to be so exciting! My kitchen is in the very same state as yours. In fact, my refinisher is busily sanding my cabinets as I type. I will have white cabinets but am doing the island a different color. I LOVE your color. Does it have a name? I will be showing a picture to my contractor, but a name always works so much better. :) Beautiful work..can't wait to see the finished product. My husband is the same way when we are making decorating decisions...can't seem to visualize it. He has to SEE it! Love the color on the island. 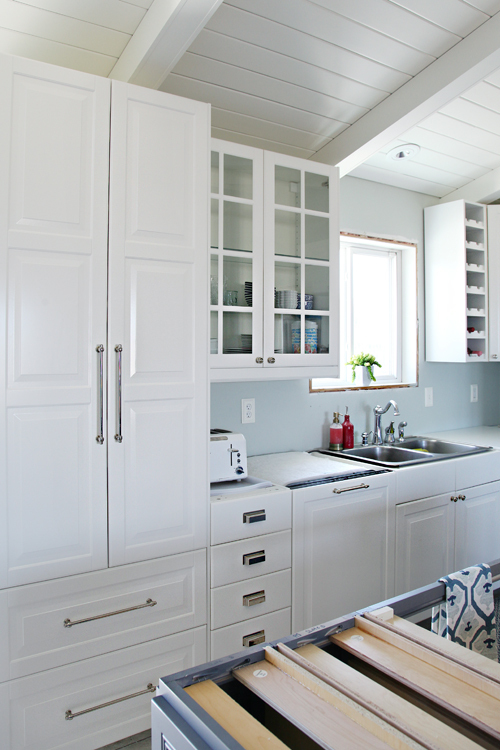 It give just the right pop of color to the white kitchen. Can't wait to see the finished room...you look like you are almost there! Your kitchen is coming along beautifully. Can't wait to see the final reveal. Wish I was a visual person. Find it difficult to make decorating decisions, let alone a remodel. Sold my home and moved into condo last October, only decisions that have been made are flooring and paint colour. Enjoy your blog. Heartily approve of the empire chandelier. When we lived in DC, we used to go to Old Ebbitt Grill for dinner all the time, sitting at the oyster bar, where there are three different vintage empire chandeliers hanging above. When we moved away, I insisted on getting an empire chandelier for our dining room, and it is just so gorgeous and perfect. Like jewelry. Every time I look at it, I love it more! My only regret is that we hardly ever use the dining room, so you were definitely smart to use one in the kitchen, where you will see it all the time. SWOON... that island!!! I love it all already! You are over the top amazing, Miss Jen!! Wow! So gorgeous! 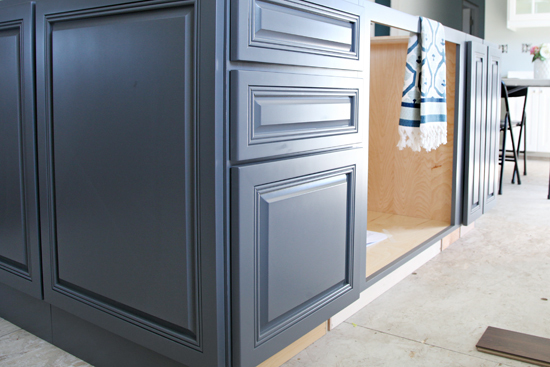 I've been dreaming of grey kitchen cabinets for a while now - and yours look so wonderful! 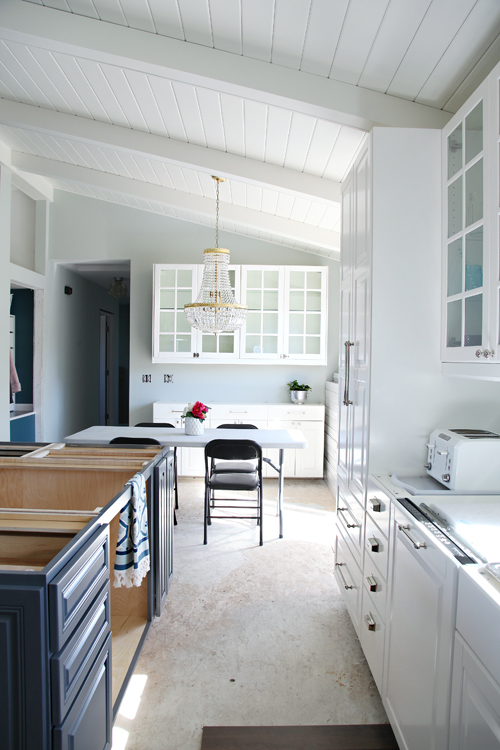 I think my favorite part of the whole space are those floating showcase cabinets with that amazeballs chandelier! WOW! I love love love the colors of your kitchen! And the chandelier is amazing! 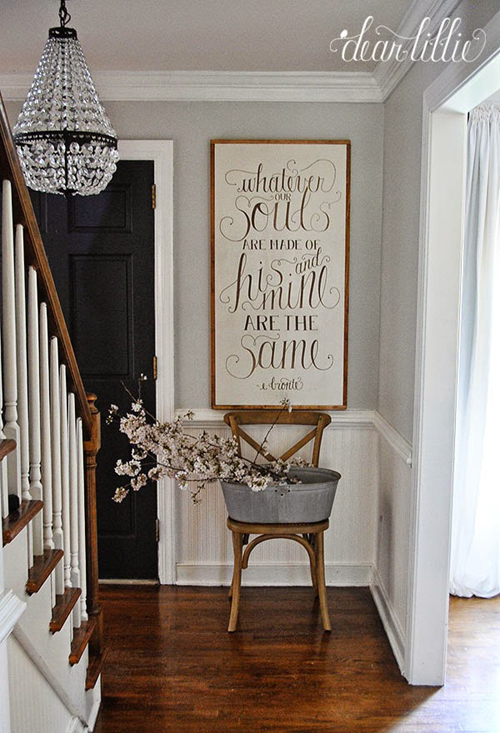 I wish we did a fun one over our dining room table but we did it in our entry way instead! Loving everything! The chandelier is stunning! 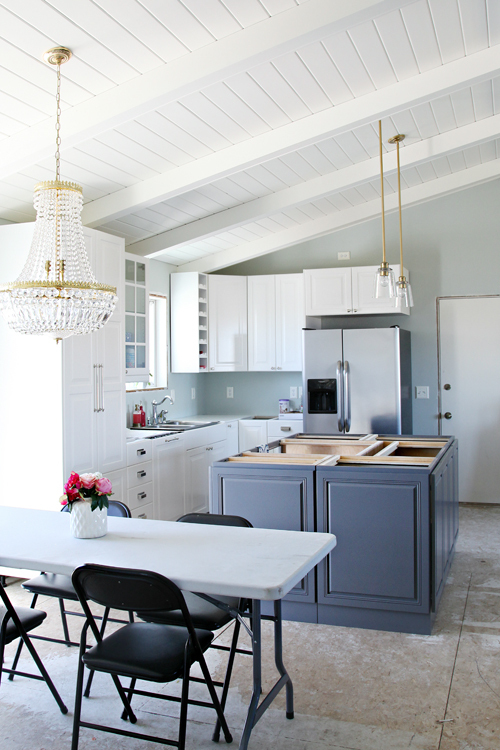 I still drool over your hardware choices and that kitchen island is perfection! When can I move in? I was wondering what paint color you have done in your kitchen. I am doing my new kitchen in Cambria Torquay countertops and I love your color!